Paul Krugman, a Nobel Prize-winning economist and writer for the New York Times, is in London at the moment telling us that we’ve got things wrong. I half agree with him. The bit I agree with is that I think it’s fair to call what we now have ‘a depression’. We’re just coming out (we hope) of the second dip of a two-dip recession and I personally wouldn’t bet either that there won’t be a third one or that this dip we were in over winter is necessarily at an end now. Krugman is right: times are grim. But that doesn’t mean he’s right about the remedies. He wants us to spend more money. Specifically, he wants the government to increase spending by 2% of GDP. Which is pretty modest, right? 2% doesn’t sound like a whole lot. But let’s remember a couple of things. First, Britain produces quite a lot of goods and services. Even in these recessionary times, we produce £1,500 billion worth of stuff in a single year. If you take just 2% of that very large pile, you are talking about £30 billion. That’s a lot of money. You couldn’t quite pay for the entire British armed forces with that kind of cash, but you’d get a lot more than half. Secondly, has Paul Krugman not noticed, this coalition government pursuing its ‘austerity’ budget is still spending far, far more than it raises in taxation. In fact, we’re spending about £120 billion that we don’t have. In effect, we’ve chosen to fund the entire health budget from borrowed money. Or, if that thought scares you, then forget the health budget. That borrowed £120 billion would buy the whole defense budget, plus the whole transport budget, and still leave enough left over to put around a thousand quid into the pocket of every man, woman and child in the UK. And at the moment, we borrow that much each year. For Krugman, this recklessness is not yet reckless enough. He wants us to borrow more, expand the debt faster, add to the burden that will need to be paid off. I don’t have a Nobel Prize on my mantelpiece, but I can see craziness when I see it. There’s something else he hasn’t noticed. 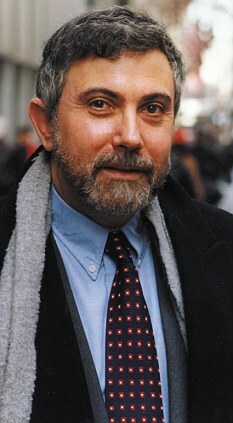 Krugman is an American and I don’t know how often he comes to Europe. But on this continent of ours, there’s a country called Spain. That country has lower debt than the United Kingdom. It has a smaller government deficit. And – Krugman may not have noticed this, but I bet you have – that country is walking a financial tightrope. International investors are shunning that country’s bonds. 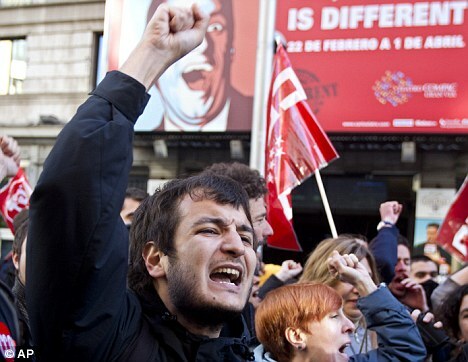 Put bluntly, Spain is at acute risk of going bust. Britain is not in that position for two reasons. Number one, we have our own currency, our own central bank and an ability to determine our destiny that not even Germany possesses. That’s probably the biggest part of the story. But we also have a coalition government that has explained clearly and credibly how it is going to restore Britain to the path of fiscal rectitude. If Osborne listened to Krugman (and don’t worry, he won’t), the cost of borrowing for the British government would accelerate instantly. We’d have to slash budgets and raise taxes simply in order to pay our new, higher borrowing costs. It would be a move of the utmost lunacy. Three short points to finish with. One, in the midst of financial crisis, it’s easy to lose a sense of proportion. When an economist on the radio talks about two percent of GDP, we need to remember that that translates into huge sums of money. We need to be responsible about those sums, not get dizzy with the magnitudes. Second, Krugman is an economist. He lives in an ivory tower (never mind that he is probably angling for a high post in the next Obama administration). And ivory towers remove you from the things that matter. The British government needs to borrow a huge amount of money, simply to sustain itself. No one is forced to lend us money. We have to make ourselves creditworthy. Financial realists know that and adapt accordingly. Osborne and Clegg are both, thank heavens, realists. And last, sometimes bad stuff happens and you can’t wish it away. If we could vote for sunshine, we’d vote for it. That, plus free food, plus good looks – and hey, why don’t we reduce the force of gravity to give us a little extra oomph in the mornings? ‘Voting for growth’ or for any version of Krugman’s policies are no more reasonable than these things. We created a huge pile of debt and now we have to work it off. That isn’t fun, but it is – alas – reality.